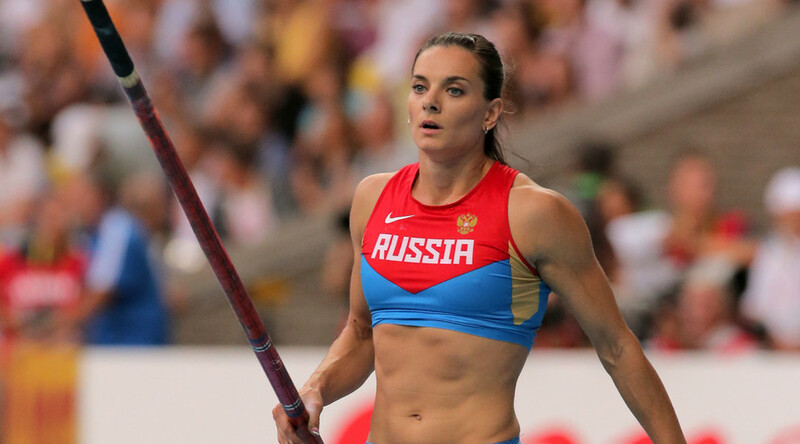 Two-time Olympic pole vault champion Yelena Isinbayeva will appeal the International Association of Athletics Federations’ (IAAF) decision to uphold a ban on Russian track and field athletes competing at the Rio 2016 Olympic Games at the European Court of Human Rights. “After everything that has happened, Yelena will take her case to the European Court of Human Rights in Strasbourg, because [the IAAF’s] decision is unjust towards her and the whole Russian team,” Isinbayeva's coach, Yevgeny Trofimov, told R-Sport. "She was also surprised at how our federation reacted [to the decision]. ‘Our hands were tied and that’s it.’"
On Thursday, the Swiss-based Court of Arbitration for Sport rejected a plea from the Russian track and field team to overturn the ban prohibiting their participation in Rio imposed on them by the IAAF. “Our defense was weak, I would even say zero, no one defended my rights,” she wrote. “Tears stream down my cheeks from the realization of everything I have done for athletics." On Sunday the IOC rejected the idea of a blanket ban on Russian athletes, instead ruling that individual sports federations should decide whether they are eligible to compete. The IAAF later stated it would not review the Rio competition entries of Russian athletes. Which means that long-jumper Darya Klishina, who trains outside Russia, will be the only Russian track and field athlete cleared to compete in Rio.